16 reserve forest areas could be affected if the government goes ahead with Rs 10,000 crore Chennai-Salem Green Corridor highway project. 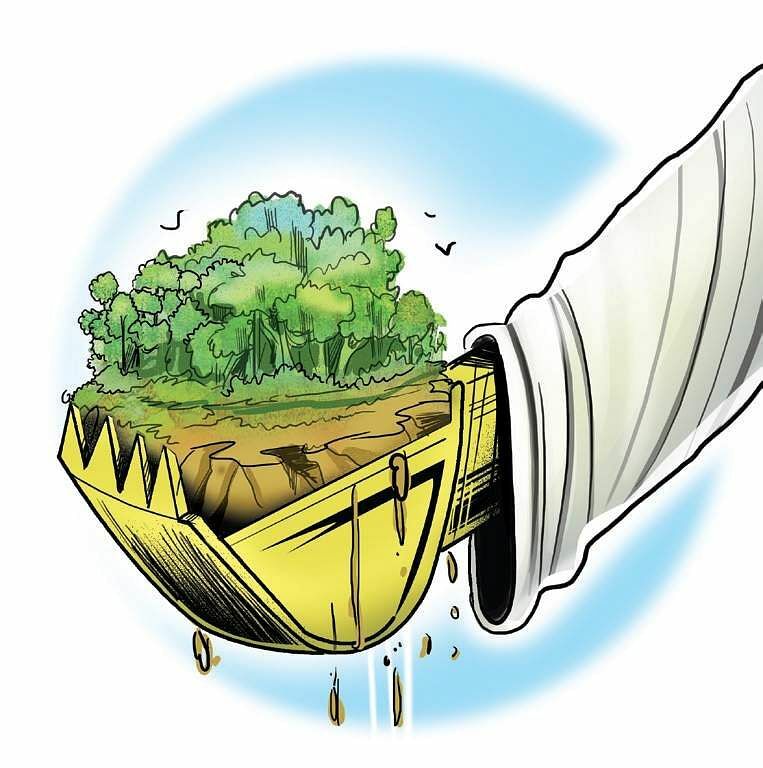 CHENNAI: About 100 hectares of reserve forest land in Tiruvannamalai, Dharmapuri and Salem districts will be destroyed to make way for the proposed Rs 10,000-crore Chennai-Salem Green Corridor Express Highway project. The sprawling 100 hectares of forest land identified for the project include thick forest cover in 16 reserve forest areas along Arani, Polur, Chengam, Sathanur, Tiruvannamalai, Therthamalai, Harur and North Shevaroy ranges in northern district of Tamil Nadu. The reserve forest areas are Siruvanjur in Chengalpattu forest range, A Pinjur in Sathanur, Sorakolathur in Tiruvannamalai, Nambedu in Arani, Alialamangalam in Polur, and Munnarmangalam, Anandavadi and Ravandavadi in Chengam range, Puvampatti and Puvampatti Extension in Theerthamalai forest range, Nonanganur and Pallipatti Extension in Harur ranges in Dhamapuri district; Manjavadi Ghat and Jarugumalai in Shervaroy North range in Salem district. In its recent communication to the State government (Express has a copy of the document), the National Highways Authority of India (NHAI) assessed that about 100 hectares of forest land in reserve forest area would have to be destroyed for the green corridor express project. “In addition to this, out of 274.3 km road, a total of 23 km road has to be laid in reserve forest land that pass through 16 forest villages,” said the communication. The NHAI also urged the State government to identify alternative land for the forest department in the neighbhouring vicinity and also sought the government to accord early clearance from the forest department. The reserve forest area is home to hundreds of animals and several bird species, besides functioning as lungs for villages in Northern Tamil Nadu. Environmentalists in Tiruvannamalai district had already opposed the move and sought details on the number of trees to be destroyed and other possible environmental damage the project could cause. J D Prakash, president of Ilanthalir, told Express they were awaiting the environmental impact assessment report from the government. “The entire bio-diversity system would be affected even if they destroy 10 hectares of forest cover. The proposal to clear 100 hectares of forest land would cause irreversible damage to environment in Tiruvannamalai and Dharmapuri. The birds and other species will lose their shelter if trees are felled,” he said. He also questioned the rationale behind laying a new express highway, while a six-lane road exists up to Vaniyambadi. “When the government faces opposition for land acquisition in road projects, they proposed elevated highways in Chennai. Why such ideas are not being considered?” he asked. 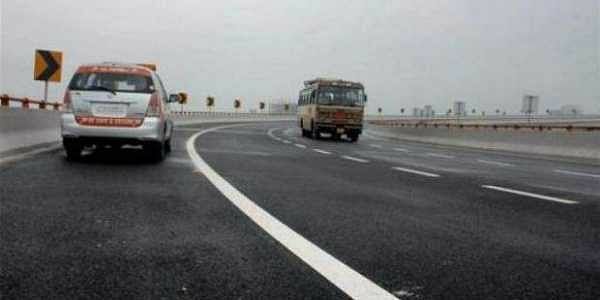 The Ministry of Road Transport and Highways had recently proposed to develop a 274.3 km green corridor project, which seeks to reduce the travel distance between Chennai city and Salem by 50 km. According to NHAI estimates, the project requires 2,343 hectares of land in the five districts. Forest department sources told Express they are about to begin an assessment on the number of trees to be felled. They refused to comment further. please allow them to do some development at least.
. politicans destroying framers and middle class peoples lands. stupid politicans dont know pain of ours. we made big mistake by voting you. all farmers are crying stop this projects otherwise protest will be done all over tamilnadu. Please think of your future generation politician. you have to do good for people not for yours. ask people's opinion. All are crying do you have heart? It’s a bio diversified forest. After Amazon south India has the next bigger one in this category. Bro. Already from chennai to salem via thindivanam & ulunthurpettai we need to cross 7 toll gates but the new express highway will have 10 toll gates. Read somewhere. The new greenfield road between Salem and Chennai will be a boost to districts like Thiruvannamalai and Dharmapuri districts. NHAI can take precaution as not to disturb the wild life in the forest area by constructing over bridges and passageways to the benefit of wild life. May be even the 8 lane road may not be sufficient in future. We have to think about the road requirement for another 50 years . Saying the present 4 lane roads are enough is not correct thinking. You are right..but after 50 years we will have vehicles and roads... Butno farmers.. NO FOOD..
NHAI & TN Govt - Please stop this type of project that affects nature and consider about other living creatures. Already 60% of NATURE destroyed for the last 70 years government and public as DEVELOPMENT. we have to keep nature and think about for future generation. It's about present swindling to make the future in to disaster ---cry of the nature. Kind attn to both Govt., we have lost many rivers and water sources, already people are cutting number of trees daily in Yercaud hill and even other hill station, for construction of hotels, resort and houses. Even hill stations are getting commercialized, now say, Govt. is not sparing the reserve forest., Govt is for the people and by the people. Man did't move inside reserve forest for 2 reasons, one restriction & two strange reptiles,animal & insects. Now we find Govt itself breaking the rules and law. Juz to save 2 hrs journey, should we drive into forest. when people say is that so much required. Govt please think what we are gonna give for future Indians. Bureaucrat please explain our Govt. Please think wise. It is a true Request. Dear Govt(NHAI) please avoid to make road at Forest and Agriculture Lands.kindly do not support to major companies to take over advantage and benefits. Make use of the existing highway if possible. Do not destroy forests just to reduce road distance by mere 50 km. Green cover is essential.